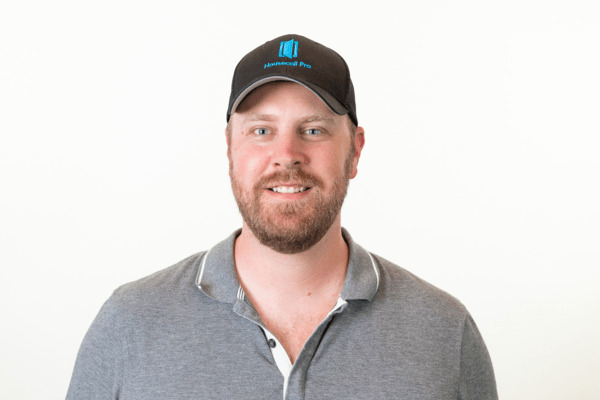 I am Roland Ligtenberg, vice president of growth, and one of the co-founders at Housecall Pro. I’ve been here since the start five years ago. In the five years, we’ve grown at a tremendous pace. We started this company to help the underserved, which is the blue collar workforce of America. We came from Qualcomm and had an extensive background in mobile development. We saw a huge opportunity in creating an app for home service professionals because the majority of the work performed by the home services space gets done on the road. With that in mind, we developed Housecall as mobile first and mobile only. We are hyper optimized on making using our app incredibly easy for home service professionals to use in the field while they are doing the work, so that way when they get home, they don’t have to come back to hours of filling out paper invoices, writing customer follow-up emails and thank you cards, and everything else needed to run a successful home services business, all while supporting their families. Housecall Pro gives small business home service professionals the ability to schedule, dispatch, take payment, be booked online, and automate follow-ups and review generation, all on our platform. Our customers love the automated notifications that confirm appointment times and let homeowners know when they’re on the way, both via text and email. We seamlessly push over invoice and payment information to Quickbooks® Online (QBO) and allow small businesses and their accountants to eliminate spending five to 10 hours a week tracking down paper invoices, manually entering in those paper invoices, or asking technicians in the field about each and every job. We love our Pros. Our customers, on average, grow their business 30 percent within the first year of using Housecall Pro. Our Superpros make 209 percent more than their local competition because they use all of the features that Housecall Pro has to offer. Our customers are blue collar workers and are the working force in this country. We’re focused on the growth of their business and have built a community to help create a support network of other like-minded professionals in the home service industry. This is a great source for word-of-mouth referrals and a support system of other business owners in their same area and industry. When they can connect with each other, win and grow their business, we all win. We rely heavily on the feedback we get from our customers to build a product that works for them and their home service business. We roll out new features to our exclusive group of community leaders – Superpros – for alpha and beta testing. They have the chance to meet us directly at Mastermind events all across the nation. We host one per month so they can be heard and give feedback. We work very closely with them and use that feedback to understand how we can improve and make our product more robust before we launch it out to our general user base. Included with Housecall Pro is exclusive access to our Facebook group, with thousands of other home service professionals where they can connect and combine forces to tell us what is most important to be built. Because of this, over the last three-and-a-half years, we’ve been able to ship out updates to our product, averaging twice per day. In 2015, we participated in the QBO Connect hackathon and won as the best app with QBO integration for an existing app. This allowed us the opportunity to go on stage in front of thousands of ProAdvisors® and show them the power we can give their clients in combination with our then newly launched QBO integration. Since then, our partnership with Intuit® has made it so much easier for our users to streamline their operations, from when they first get started with Housecall Pro and as they continue to grow their business. Our integration with QBO allows new users to get started within minutes, as we can import their invoice and customer history from QBO to Housecall Pro with the click of a button. We also love how much the integration with QBO has helped our customers, their accountants and office managers keep track of their books. We push invoices and payments over to QBO as soon as the jobs are finished and payment is taken. We view Housecall Pro as a customer experience engine and QBO as the accounting software to help them get a full understanding of the financial health and trajectory of their business. We cater to home services businesses with one to 20 employees. Whether you’re an owner/operator out in the field or have office staff and three to four trucks in the field, our software will help you keep track of your jobs, automate communication with your customers, and help your business grow with tools such as online booking and automated follow ups. We specialize in helping HVAC, electrical, plumbing, carpet cleaning, home cleaning, window cleaning, power washing, garage door, handyman, appliances, air duct, chimney cleaning, holiday service, deck and patio, junk haul removal, demolition, fencing, flooring, furniture and upholstery cleaning, general contractor, gutter cleaning, heating and air, landscaping & lawn, snow removal, locksmith, moving, notary, painting, pest control, pet services, pool cleaning, photography, roof & attic, restoration, rug cleaning, sewer & septic, solar panel cleaning, smart home, audio visual, tile & grout, water Heater, water treatments, and window cleaning businesses. The consumerization of all types of services is trending towards high transparency as a trust building mechanism. The trend for small businesses, specifically home services, is mimicking all of the other services that are being used to help consumers and homeowners buy, especially in the US and Canada. In the same way you can track a package on its way to your house, you’ll now be able to track your plumber to fix a leaky pipe in your home. All manners of transparency and making an easy process for the customer will be mimicked in the small business space. Our software isn’t a software that’s designed for a large company, but instead, built in a way so that the VSMs – the small guy – can deliver the same experience from a technology perspective. Those that adopt and embrace this new change will crush their local competition. Those that don’t over time will be forgotten for the much clearer, more transparent experience that is enabled by the user who uses our software. Roland is a technologist whose passions encompass all things mobile, startups and disruptive ideas accelerated by technology. He is an ambitious, multilingual, Gen Y entrepreneur with broad experience in various business industries, with a passion and expertise in mobile and contextual awareness technologies. Always enthusiastic with an infectious energy, he is able to learn and adapt quickly while providing results under pressure. Roland is experienced in business idea creation, development, product and project management, team leadership, but most importantly - execution. His experience includes founding several successful startups including: First Bank of Rock, a technology platform for musicians leveraging a hybrid factoring/VC investment bank model; San Diego Music & Technology Conference, a multi-day conference exposing the intersection of technology, electronic music, and the future; and Conquest Adventures, a world-class PADI scuba-diving outfitter in Cabo San Lucas. Roland is always looking for opportunities to help startups & entrepreneurs create value through agile mobile product development and constant innovation.